This Laboratory covers the area of research and provision of knowledge concerning the: design and operation of farm machinery, equipment of agricultural enterprises, automation of agricultural production processes, postharvest technologies, application of modern technology in agriculture and energy saving. Mechanical equipment of agricultural enterprises such as: pumping systems, internal combustion engines, agricultural implements, electrical motors and electrical conversion, farm machinery for soil cultivation, sowers, harvesters, equipment for animal farms and greenhouses, etc. Metrology in agricultural engineering, automation in agriculture, precision farming, robotics. 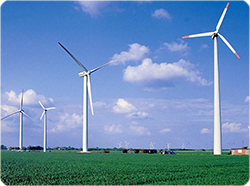 Energy saving and applications of the renewable sources of energy in agriculture. Postharvest technologies. Storage and preservation of agricultural produce (cold storage, drying etc. ).